“Anti-crepuscular rays!” isn’t perhaps the first expression that springs to mind when you’re surveying the early evening sky but it’s certainly something that would impress your neighbours, if one or two were handy at the time. Either that, or you will confirm their worst fears about your extra-terrestrial origins! When we were photographing these wonderful thunder clouds last week, we noticed some faint shadowy rays converging on the distant horizon (you can just make them out, running down the centre of the above image). These are (I kid you not) anti-crepuscular rays. I was quite excited to see them, which probably tells you all you need to know! 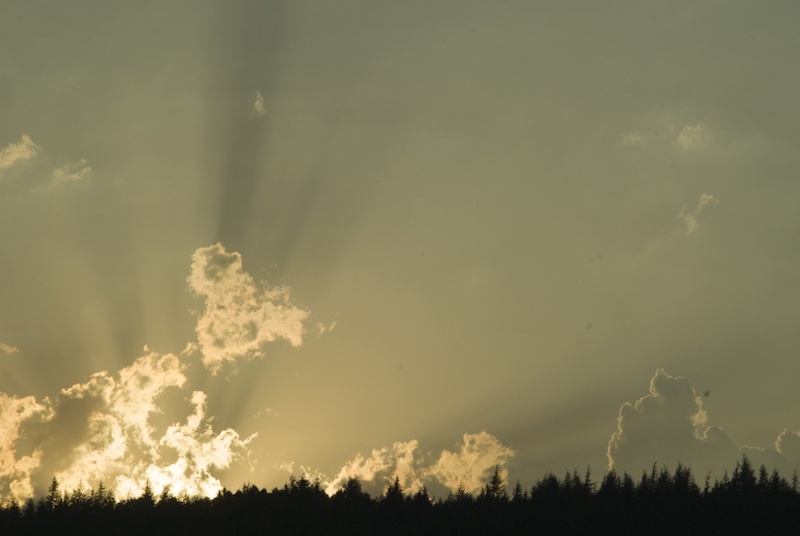 They are similar to crepuscular rays, being caused by clouds in front of the sun… but the essential difference is this: crepuscular rays seem to converge on the sun, while anti-crepuscular rays converge in the opposite direction, and you must be facing away from the sun to see them. When we took the above photos we were facing south-east, and the sun was just setting behind our house, in the north-west. Anti-crepuscular rays appear to be converging on a point known as the ‘anti-solar point’, but in fact this is an illusion. They are parallel rays of light, and what you are looking at is akin to a very long straight road with a ‘vanishing point’ in the very far distance. Very rarely, both types of rays can be seen stretching right across the sky (I haven’t witnessed this yet). 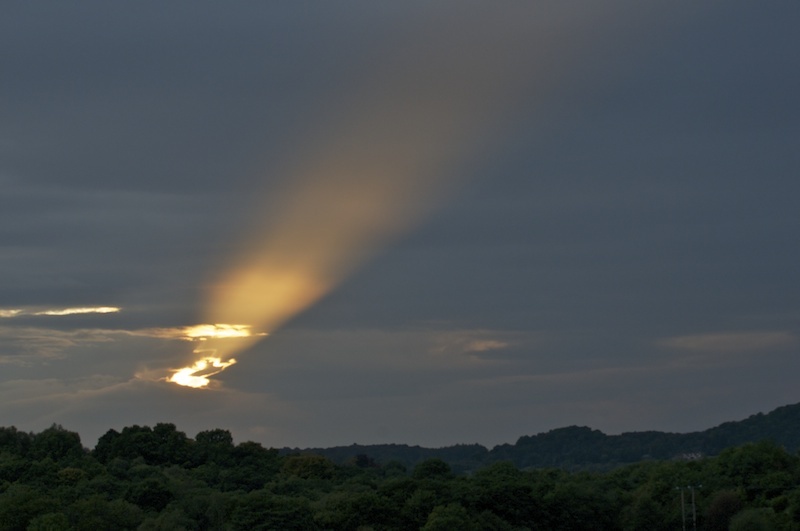 There is a full explanation, with lots of illustrations, on the excellent website atoptics.co.uk, which advises us: “Anticrepuscular rays are not rare but they must be sought carefully.” I like this. More posts coming soon – I’ve been deprived of a proper WordPress connection for over two weeks, and it’s good to be back! 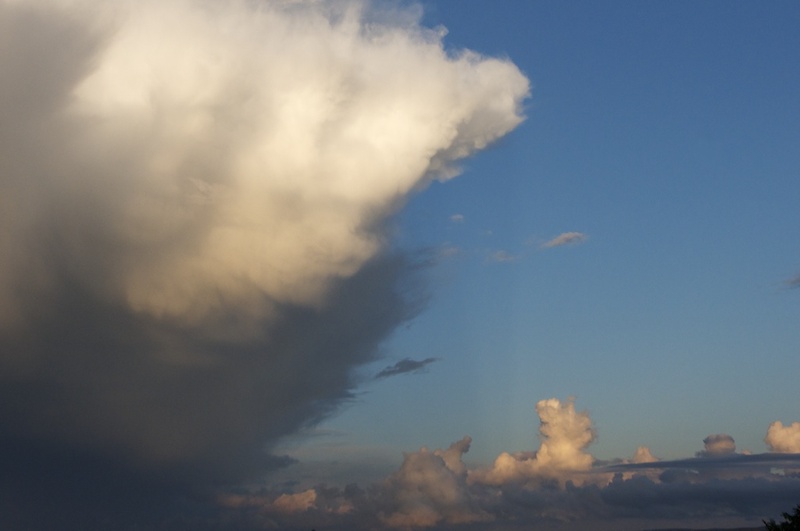 Haha, I love the term ‘cloud anorak’! 🙂 Thank you, Lorna! Marvelous! 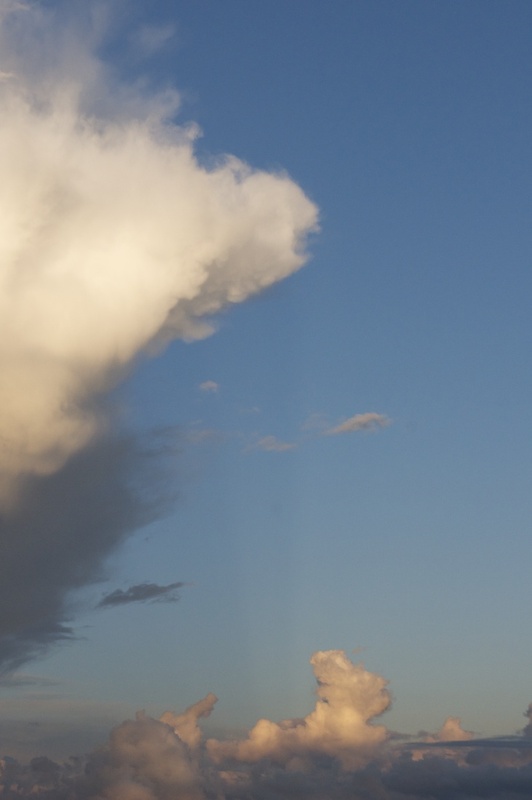 Hank’s forever looking at clouds and light patterns–crepuscular rays included– and this is neat information. Welcome back! Thank you, Hank! Glad to hear that you take an interest in the sky! 🙂 Glad you enjoyed it! If you’re at all interested in these phenomena, you’ll love the Atoptics website. I never knew there were so many! Welcome back Jo…this was really interesting. I never knew what these rays are called. I would just look up and say wow…look at that! Thank you! We’re always leaning out of the window and staring at things – people must think we’re mad! Just in the last half hour Colin photographed a rainbow in the distance with a very pinkish tinge, caught by the sunset. After visiting the website Atoptics I realized I have never seen the anti type. Way cool! 🙂 I am merely a beginner too!